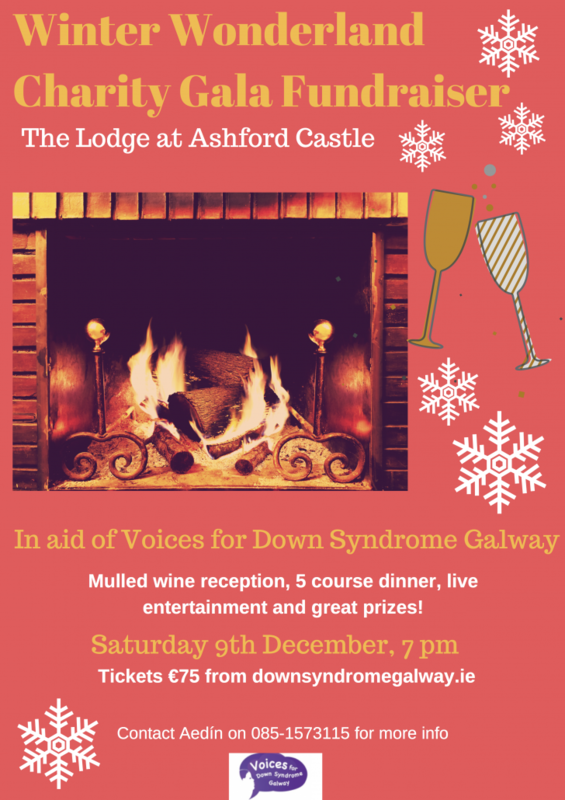 The next big fundraising event in our calendar is the Winter Wonderland Gala night which takes place on Saturday 9th December in the Lodge at Ashford Castle in Cong, Co. Mayo. The Lodge at Ashford offers guests the chance to immerse themselves in a fabulous historical setting on the shores of Lough Corrib. It was voted Best Fine Dining Hotel of the Year – 2017 by the Irish Hotel Awards and voted number 2 in the Top Hotels in Ireland by the Condé Nast Traveler Readers’ Choice Awards 2017. The evening kicks off at 7 pm with a lavish mulled wine reception followed by a sumptuous fivecourse dinner created especially by the Lodge’s award-winning chefs. Entertainment on the night is brought by folk singer James Hope, Ian Canavan and special guests. Those who attend will also get the chance to win some fantastic prizes including a one night’s stay in the Lodge. A special B&B rate of €150 per room will be available for ticket holders who wish to stay the night and sample the top-class accommodation on offer (please call theLodge directly on (094) 954 5400 to book). That gives you the opportunity to enjoy a special package of bed, breakfast, dinner, drinks and entertainment in the luxurious surroundings of the Lodge for only €150 PPS. So this festive season, treat yourself and your loved ones to a fabulous night all for a good cause. For further information, please contact Aedín on 085-1573115.